Sometimes adding targets to the Discovery Manager can be tedious work, especially if there are many targets to be added. A way around this is to import targets via the API. Create a CSV file that contains one column for the IP range and one for the corresponding Note. 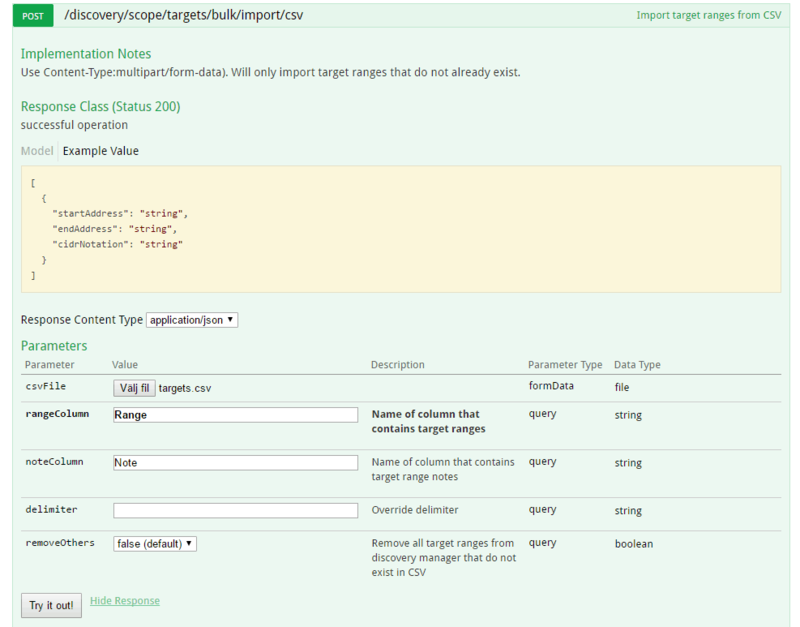 The API also provides additional options such as removing existing targets and fully replace the Discovery targets with the one’s included in the CSV.